Farming is in trouble throughout most of the industrialized world. Farmers are having fewer children (who provided labor for family-owned farms, including this author), and fewer of those children are willing to take over family operations. Farmers in California were forced to quickly find automated solutions to tending and harvesting their crops because seasonal migrant labor from Mexico dried up. Increased employment opportunities in manufacturing and other sectors in Mexico had more to do with the decline in labor availability than recent immigration policies. The tasks performed by the migrant laborers were not easy to mechanize, which is why they have remained manual tasks for so long despite the increase in the cost of labor, even migrant labor. 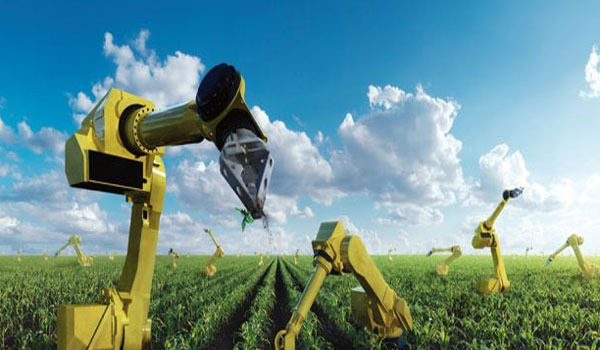 These are the key areas of focus for the new wave of farm automation and robotics. Traditional agriculture is already highly automated with row crop production, and incumbent manufacturers have the resources and incentives to pour research and development into maintaining their dominance in traditional farming techniques. For example, John Deere has been working on self-driving tractors for decades and have the resources and expertise to crush any startup attempting to compete with them. They also have the economies of scale and the dealer network to support their product worldwide. A new combine harvester typically costs over $400,000, so farmers are able and willing to commit to investments that make their jobs more pleasant and economical. This is also why incumbent manufacturers will use their resources and expertise to maintain their dominance in this market against new entrants. Ag startups should avoid competing head-to-head with industrial giants over tasks that are already easy for farmers, such as nearly all tasks related to traditional row crops. They should instead focus on tasks that are still labor intensive, dangerous, or unpleasant for farmers or other ag workers. A John Deere employee told me that they have had self-driving tractors solved for quite some time, but farmers like to drive tractors. Exoskeletons in development for the military and in use in industrial settings would be a hit on farms for labor intensive jobs in confined spaces, like moving feed or equipment in animal pens or performing maintenance on heavy machinery. A Japanese systems designer returned to his family farm and used artificial intelligence to automatically sort cucumbers. Agricultural robots and automation could also make new things feasible, such as raising new types of crops, or raising them in entirely new ways, such as this automated lettuce farm. Robots could make backyard gardening easier and help people eat healthier foods. Gardening robots would be a high-margin sale for existing chains of home and garden stores, so they would be motivated to sell and support these devices. However, increased automation and robotics on farms might give corporate farming insurmountable advantages over traditional family farms, particularly where economy of scale can help them outcompete small farms. High requirements for labor in remote areas has limited the consolidation of farming and largely kept it in the hands of small owner-operators. Despite the hardships many farmers still find pride and satisfaction in the lifestyle. While increased automation could ease the burden for them, it could also finish off the ones who are still hanging on.